As the New Year began we felt very strongly that God’s word for us this year was, “Go slow, and Go small”. Our family is making a long term commitment here in South Africa because we want to see transformation in the people’s lives that we minister too. That can not happen if we rush to establish processes and programs. For us ‘Go Slow’ means build relationships inside and out. Take time to get to know the people we are serving. Take time to get to know the leaders who are already serving the community. We do not want to sacrifice relationship for our own agenda’s. Right now we are currently building a strong relationship with Dora. Dora gave her life to the Lord a few years back and immediately decided to make a difference in her community by opening a pre-school. We have developed a close friendship with Dora and she has opened up her pre-school for us to use for bible studies and outreach meetings to the community. ‘Go Small’ means to be focused and intentional about all that we do in the community. Sometimes that means saying no to specific opportunities and ideas. People have said to us, “Why don’t you start a feeding scheme?” or “Why don’t you take over this specific ministry?” Our answer has been “No”, because we want to stay focused on where God has called us and we want to be intentional with what ministry we do so that our actions are not mis-interpreted. For instance, as Americans coming into a black township community, people automatically see us as a source of money or handouts. Starting a feeding scheme, even though it is an act of compassion, would only fuel that stereotype further and in the end cause them to be dependent on us instead of God. We want them to know that God is their source and that God created them in such a way to take dominion over their own circumstances. The challenge for Mimi and I right now is that we are experiencing such favor that the movement of activities are pressuring us to move at a quicker pace. We have only been ministering here since October, but a friend of ours who recently visited us said that the relationships we have developed looks like we have been here for a couple of years. We take that as a source of encouragement! Since October, Mimi and I have been visiting a local Township community near where we live. The name of the township is Ikageng. 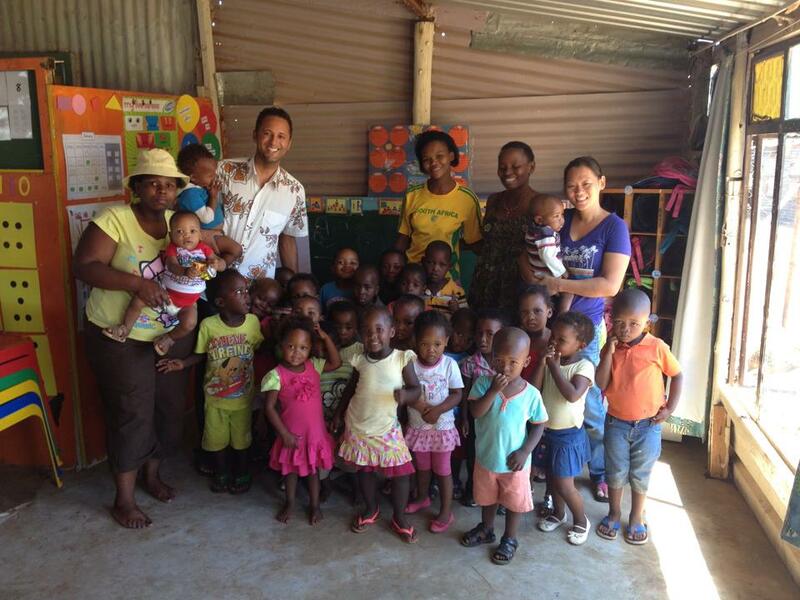 We have been busy building relationships with people in the community and ministering the Gospel to the children. Eric started out specifically leading a team of College and DTS students every week into the community. When we first went out we ministered to about 25-30 children. Then each week we noticed the number of children were growing from 30 to 60 to 80 to over 100 kids! We have been busy starting bible studies as well. Mimi has two separate Women’s Bible studies. One of about 25 Women in Ikageng on Wednesday’s and another one to 2 influential business women on Monday’s. Eric has started a weekly Bible study of about 15 youth and a Men’s Bible study with 10 men in Ikageng. Please pray with us that as we pray and preach the good news that the Holy Spirit will begin to change the environment in and around Ikageng. Thank you for all of your faithful prayer and support! We love and appreciate you greatly!